Welcome to Washington Hills just 2 1/2 miles from St Rt 62. 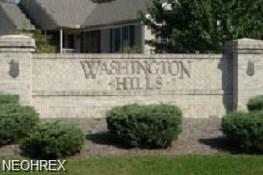 Lots come with sidewalks, winding tree-lined streets and feels like country but is close to amenities. Select your ready-to-be-built lot and bring your own builder or we can help find you the right builder for your new custom home.